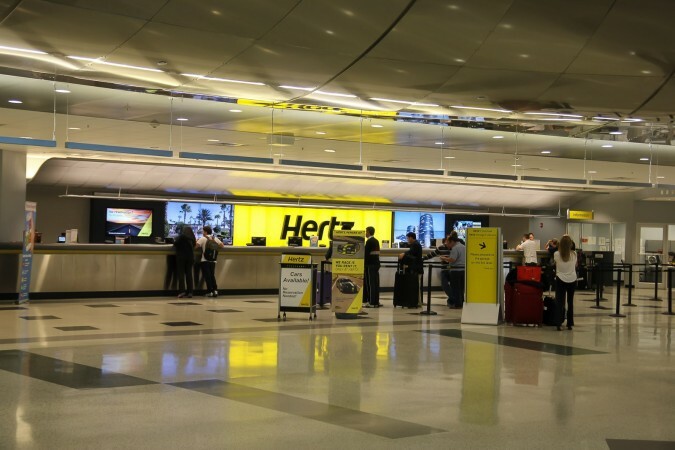 I arranged with Hertz a 7 day loan and review of a car in their Adrenaline Car Collection for my travels down the east coast of America. 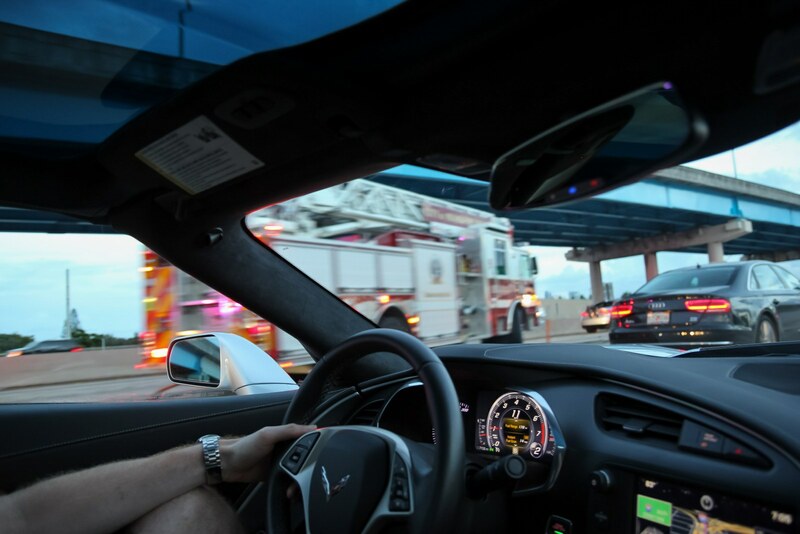 The Adrenaline Collection is made up of a set of high-performance American muscle cars. 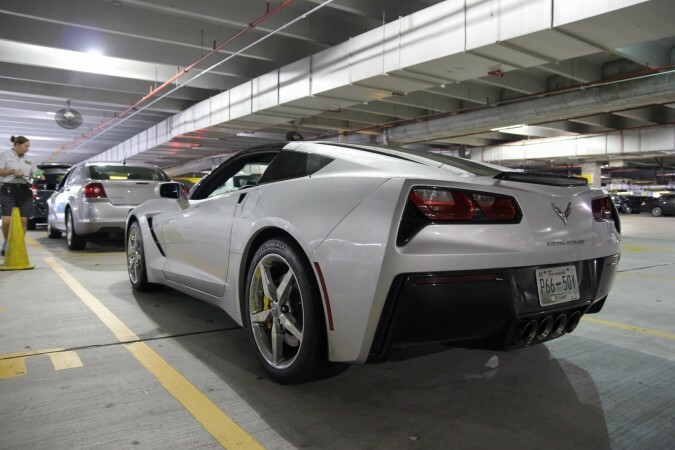 I went with the pick of the bunch, the 2014 C7 Chevrolet Corvette Stingray, the Hertz Corvette – Perfect. My trip started in New York, moving on to Philadelphia, and then to Washington, I then flew three hours down to Miami International Airport. 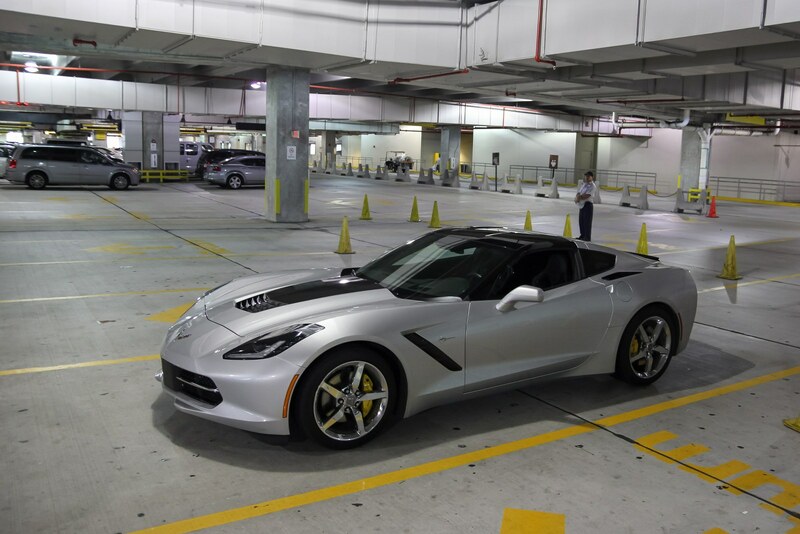 Here I made my way to the Hertz car rental desk where the Corvette was waiting for me. I was greeted by the manager of the MIA Hertz rental service, Wayne. 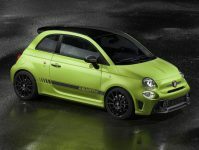 Who explained the premium rental options across the Prestige, Adrenaline, and Dream car ranges; you can get anything from a C-Class Mercedes to a Ferrari 458. Wayne took me down to the collection area where I set my Eyes on the Hertz Corvette for the first time. He gave me an overview of the car and he was that excited about the car he wanted to see my expression as I fired up the 6.2-litre V8 for the first time. In an enclosed multi-storey car park firing it up sounded simply monstrous. I was very happy with my choice. 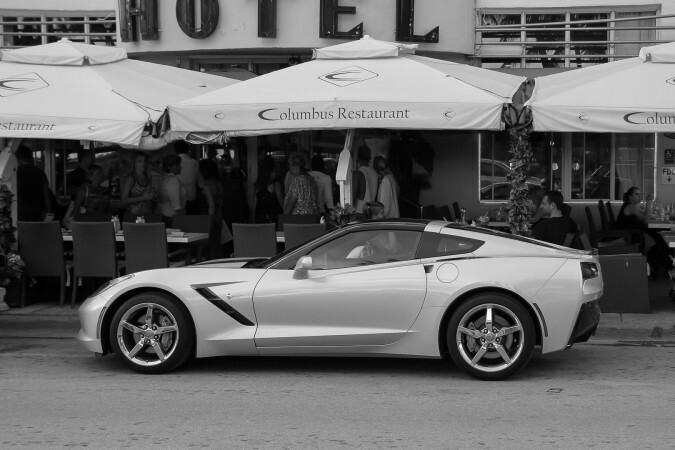 Straight from the airport I drove the Corvette 130 miles down the US1 to Key West. There is no doubt that this drive is one of the best drives I’ve ever done. They’re a couple of reasons for this; the obvious one is a 6.2-Litre V8 that was firmly attached to my right foot. 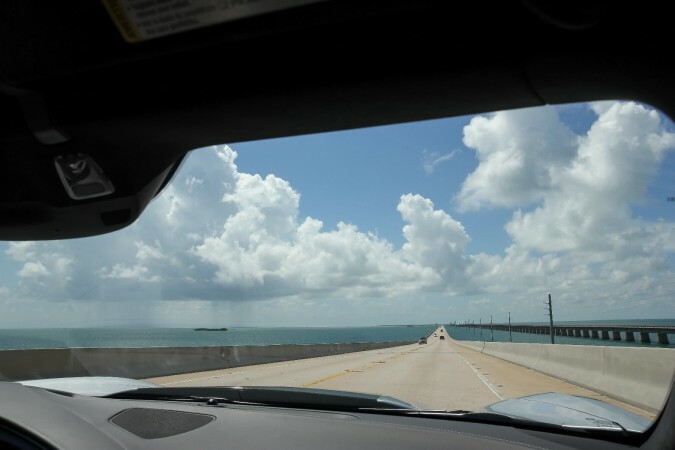 The second was the scenery, driving through the Keys the road crosses several small islands that are connected by lots of long bridges that allow you to travel over the perfect blue ocean below. Listening to that V8 grumble left me smiling like a child for most of the way. I arrived in Key West a few hours later and put the car to rest for the evening. It’s safe to say within less than half a day I was already in love with the Corvette Stingray. Up early the following day and off out into the centre of Key West, I was very excited about taking the car on the smallest of journeys. In the car park, hitting the start button of this performance car the V8 fired up again and so did my smile. This is a noise that I challenge any car enthusiast not to enjoy. It’s perfect. Have a listen to this sample. Sadly most of the daylight hours the car was parked up while I was on a boat trip, but come nightfall I was back out in the car. 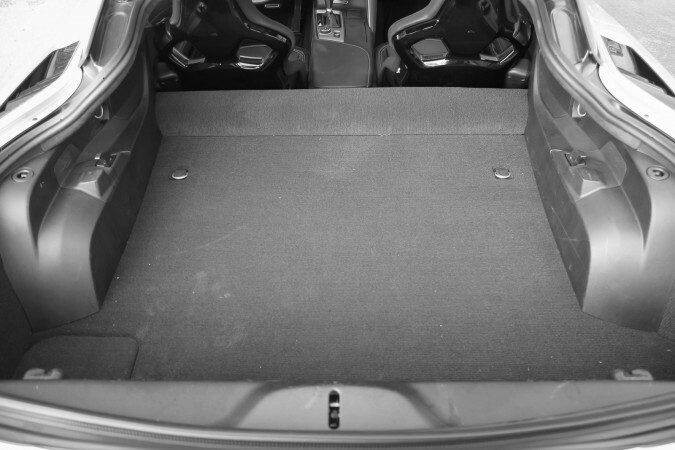 With it being a warm evening, I was able to take the roof section out and put the panel in the boot. Driving the car around with the windows down and the roof off was a prime opportunity to rev it up and listen to that amazing soundtrack. So far multiple times everyday people have been sticking their thumbs up, taking pictures, waving, and making comments about the car. 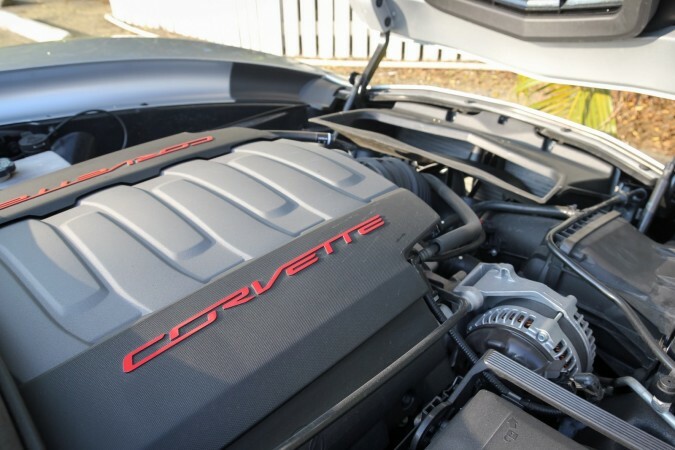 It is clear that most people have a space in their heart for a true well-bred muscle car and the latest 2014 C7 model is the best representation of that to date. 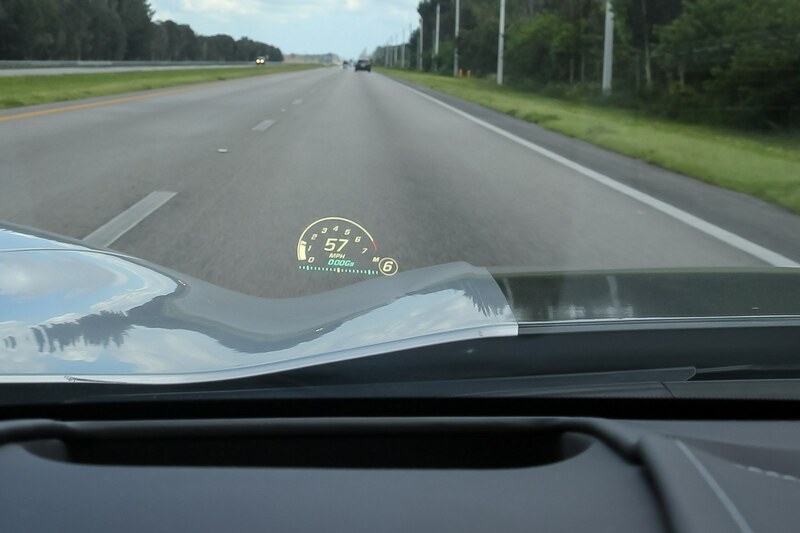 Now that I had spent a little time with the car I was more confident about using its impressive power and I started to find more and more features about the car. One of my favourite features on the car was the secret storage area behind the LCD media centre screen. This was very James Bond-esk, and sometimes it really is the little things that impress. But there was lots more to love, including the electronic door handle which pops the door open with a simple press of the button rather using a mechanical handle. Day 4 – Going to Miami! 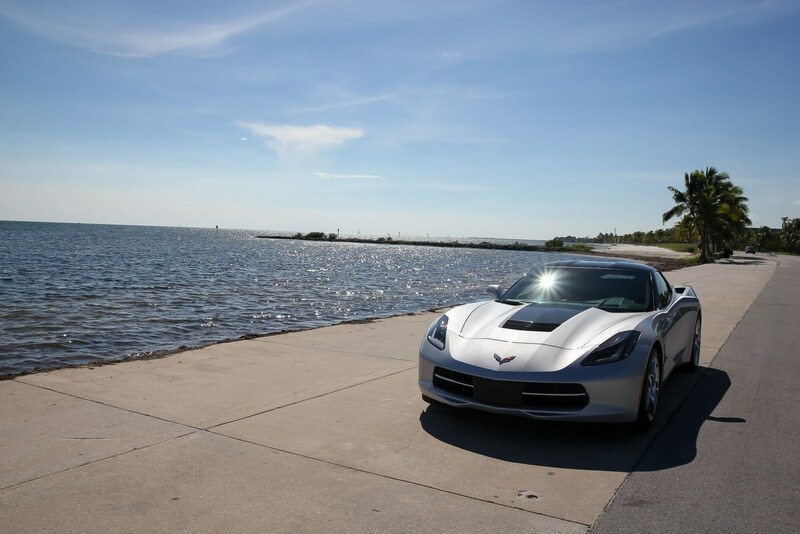 After taking the US1 into Key West and experiencing the impressive scenery, I was looking forward to driving the Corvette back out. 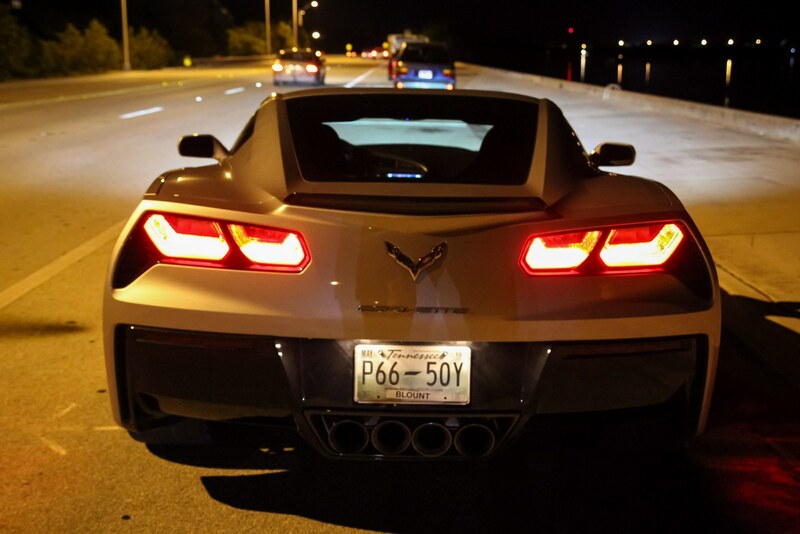 On day four I took the 130-mile journey from Key West to Miami and I wouldn’t have wanted to do it in any other car. It is possible to configure the Corvette in five different drive modes. My favourite, as you might expect, was the Sport mode. Sport mode sharpens the throttle response, adjusts the steering, makes the suspension stiffer and opens a valve in the active exhaust system to make a lot more noise…perfect if you ask me. As you can imagine, for a few hours there was probably a lot of upset fishermen hearing the tailpipes scream as a silver Stingray travelled by. I certainly enjoyed it and so did a lot of the other people that I past by, great day. The car is designed to be a proper performance car, but this trip proves that it can be used as a touring car for the long journeys too and still be fully enjoyed – you can even easily fit two suitcases in the boot! Day 5 – Just how Desirable is it? 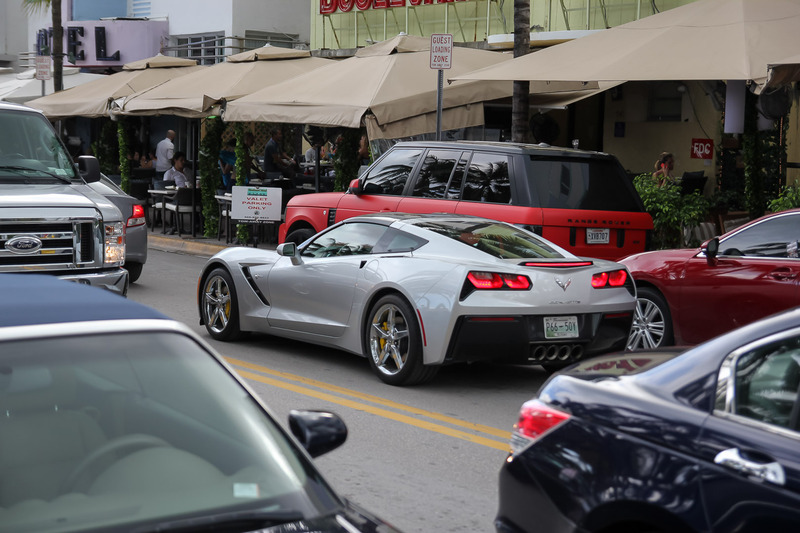 Arriving in Miami Beach and driving down Ocean Drive, where exotic cars are the norm, the Corvette Stingray still got a lot of attention, people were looking, taking pictures and pointing at the car. I was so shocked that the car got so much attention in this environment. Even parking at the hotel you could see the grin on the valets face when I pulled up. This trip showed me that the 2014 Hertz Corvette is still a rare and highly desired car that appeals to a much younger market than the previous versions. I planned a day out to the Everglades and was very excited that I was getting to take the 100 mile round trip in this 455bhp monster. Once out of town it was a great opportunity to open the car up a little and see just how good the 6-speed automatic gearbox really was. You can put the gearbox in manual and control it using the F1 style paddles behind the steering wheel and to give even more of a race car feel the Corvette has a head-up display that will show you all kinds of information including your revs, speed, and selected gear. 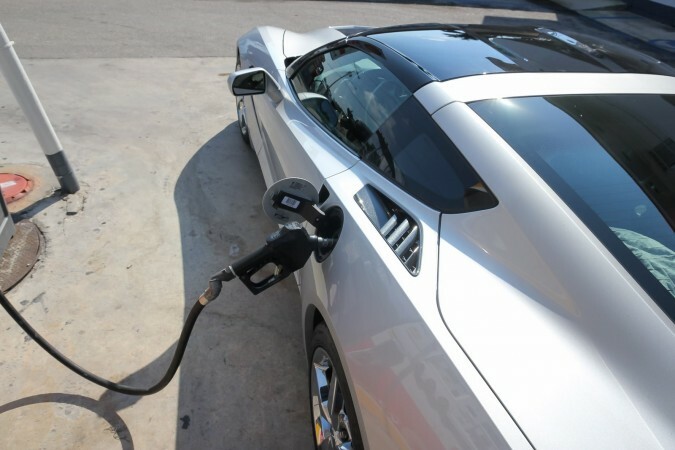 The gear shift is very quick in the Corvette and leaves you feeling in control of the gearbox the whole time. The 100-mile round trip didn’t take long enough from my point of view, but it did give me the chance to fall even more in love with the performance capabilities of this muscle car. 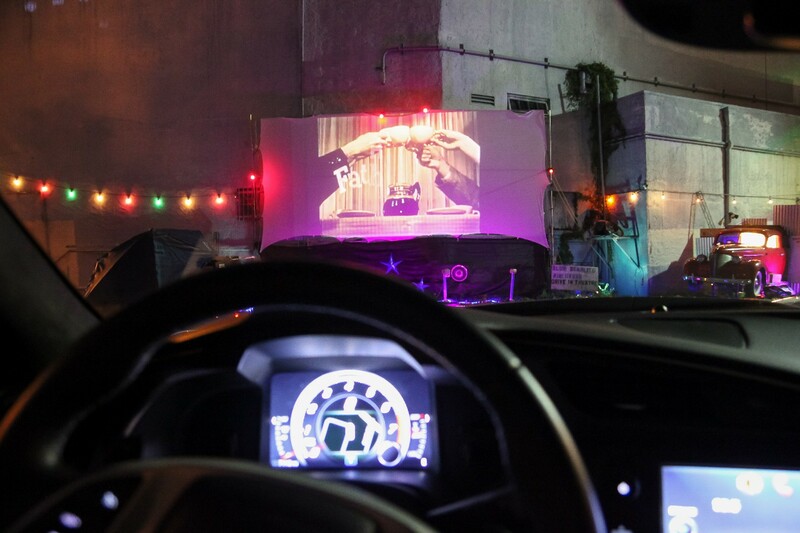 One of my favourite experiences with the Corvette came that evening, I went to a mini urban drive-in cinema, which was super cool. Pulling up to a drive-in cinema is a rare opportunity nowadays and doing it in a car as special as the Stingray was a privilege. If you’re not interested in performance, then the Stingray also works out well as a 2-seater cinema sofa with a large enough boot for all the popcorn you could ever imagine. On a more serious note, to listen to the drive in you tune in via your car radio and to add to the experience the Bose sound system really perfected the evening. Day 7 – Do You Think They Will Let me Keep it? … I Doubt it. It’s been one impressive week and sadly it was my time to return the C7 Corvette, the car had been a real thrill, it’s a serious driver’s car and when it wants to be it can be a bit of a handful, so part of me was glad I got to experience the car and it was going back in one piece, but I still didn’t want to hand it back. Arriving at the airport rental drop off zone I was greeted welcomingly by a member of the Hertz team who gave the car a quick check over, confirmed that the car worked faultlessly in my care and then pointed me in the direction of the terminal so I could start my trip back home. 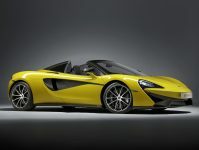 All in all, a perfect performance car experience that can be ordered at your convenience. Great review! I have one booked at LAX for a long weekend in December, this makes me look forward to it even more, thanks! planning on buying it. I want to make sure it has not been abused. I agree with you. The hire cars will have taken a beating over their miles. Might be a bit of gamble to buy.